Although I get excited about finding main Christmas presents, it's the stocking fillers that I'm always drawn to whenever I'm looking around. Of course everyone's budget is different so I've made sure that there's products from £4 up til £12 in this round up and a good mix of beauty, lifestyle and gadgets too. Oh socks... the ultimate stocking filler in my opinion - The cosier, the better too. I always look out for lounge socks like these ones as they tend to be affordable and a great pick for those who get cold in the Winter. If you know somebody is more of a slipper person, I'd definitely recommend checking out these New Look Pom Pom Slippers - just look how adorable they are! Technology accessories are always well received especially to play around with during the Christmas time especially this Clip On Selfie Light which I can imagine would be popular during NYE too. Novelty stocking fillers like Brussels sprouts chocolates are always funny, but I do like making them useful and books are a great way to do this too especially this gin recipe book which would be great for any cocktail lover. One of my favourite beauty stocking fillers I've seen is the L'Occitane Shea Butter Star Set* as they have quite good sample sizes inside, perfect for a Christmas pamper. If you want something similar, but you don't want to spend that much then popping in a Lush bath bomb would be a great surprise in your stocking too. 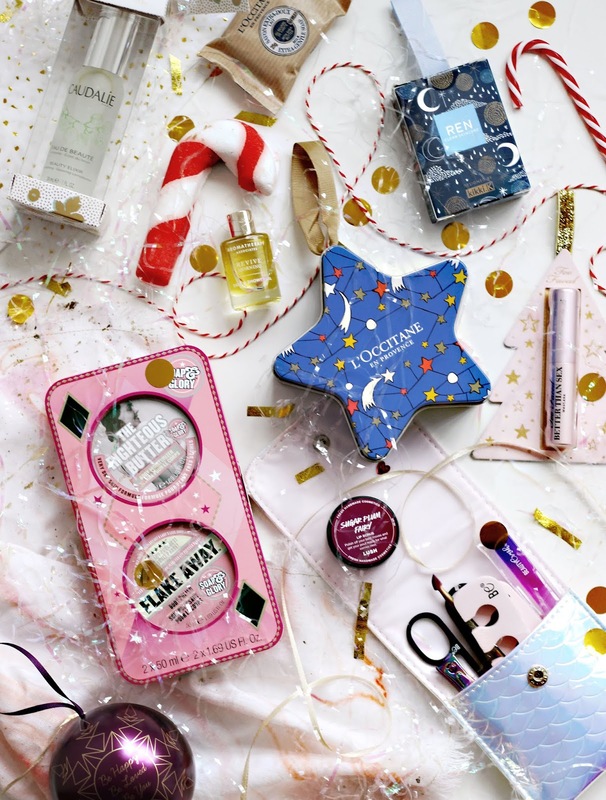 What are your favourite stocking fillers to receive?